Excuse the tenuous Starwars pun, but the 1st draft of the BMFC help files were released today on the BMFC WIP Thread on the TGC Forums. For those of you who had noticed that since the site received it’s makeover, the Games and Applications sections have been a little sparse on content; Work has begun on fleshing these pages out a little. Here at the WotC this week, we have been busy installing and setting up Subversion for all current projects under development. Hopefully this will speed up development times on new projects by allowing closer collaboration between programmers on larger projects, and allowing a much more reliable backup service. It has also been decided that we shall be adopting NSIS (Nullsoft Scriptable Install System) as the official installer for any final releases. NSIS is both easy to use and quite capable of doing everything needed. The next release of BMFC will be packaged using NSIS. Alpha Version of BMFC released! 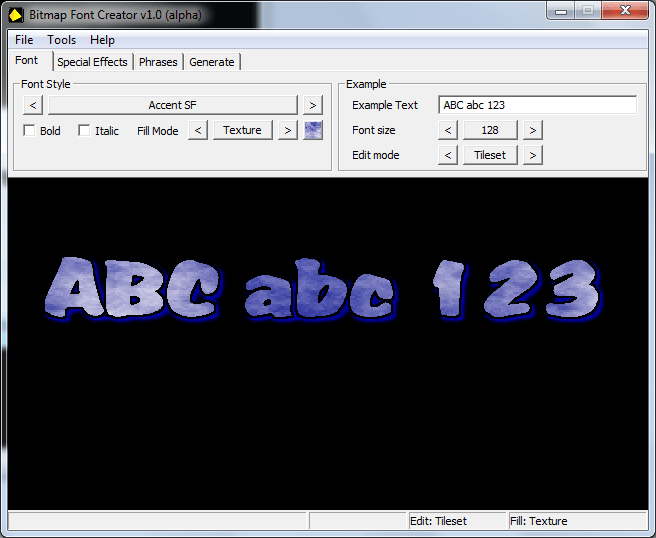 An Alpha version of the Bitmap Font Creator was released for download on the TGC forums, for the community to test and enjoy. 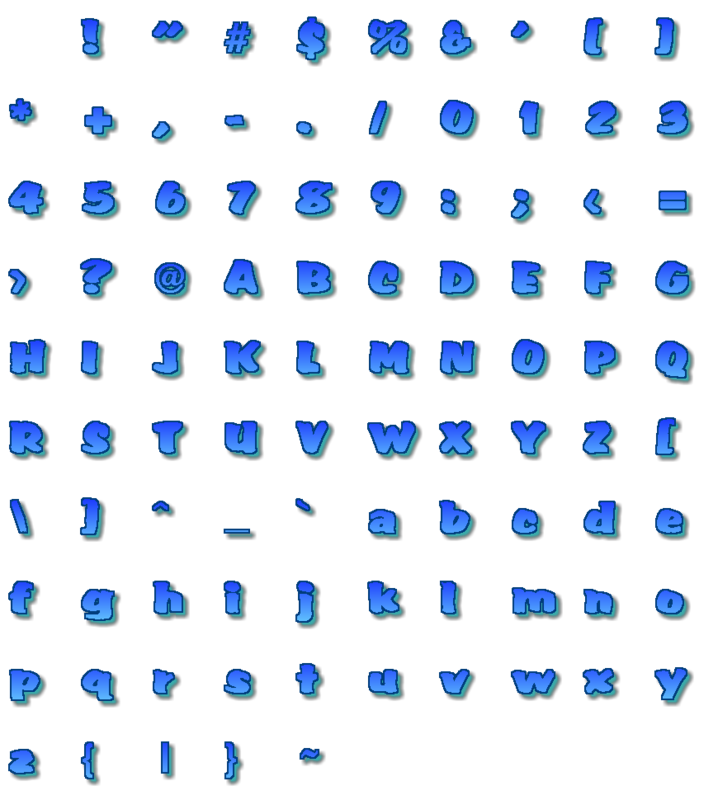 This, Ladies and Gentlemen, is the official first ever output from the WotC Bitmap Font Creator. Click on the image above to see it in it’s full size, and of course feel free to use it in your own projects. 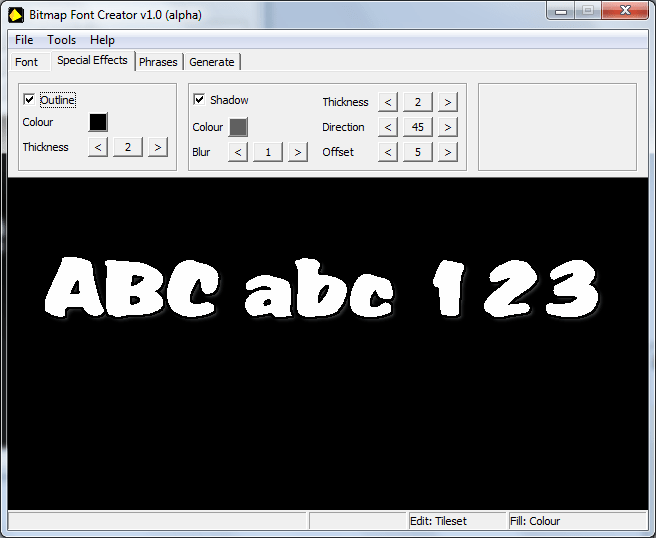 It’s a simple 2 colour gradient filled text. 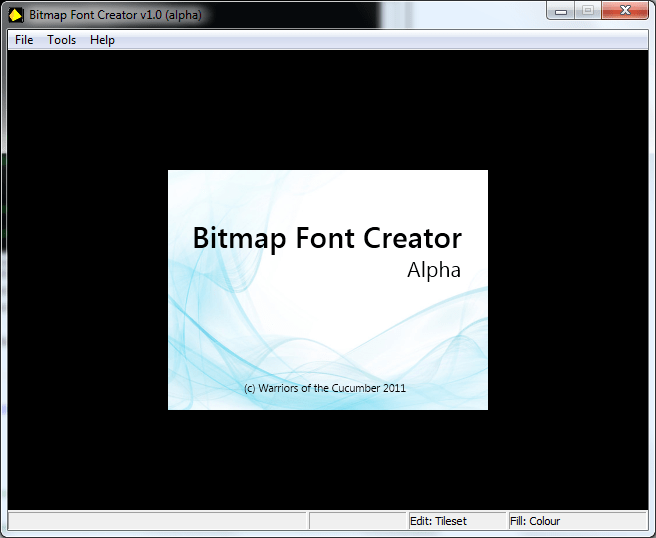 As the new Alpha release of the Bitmap Font Creator draws ever nearer, it gives us great pleasure to release these sneaky preview images of the new WinAPI User interface. Welcome along to the new Warriors of the Cucumber Blog. You’ll have to excuse the lack of content, there is still a couple of technical issues to work out with the new layout; but rest assured it’ll be back soon enough.